Prices Listed are Manufacturer Minimum Lowest Allowable Advertised Prices. There are promotions and discounts available. Please call us on any Mattress you are interested in! You will be Glad You Did! 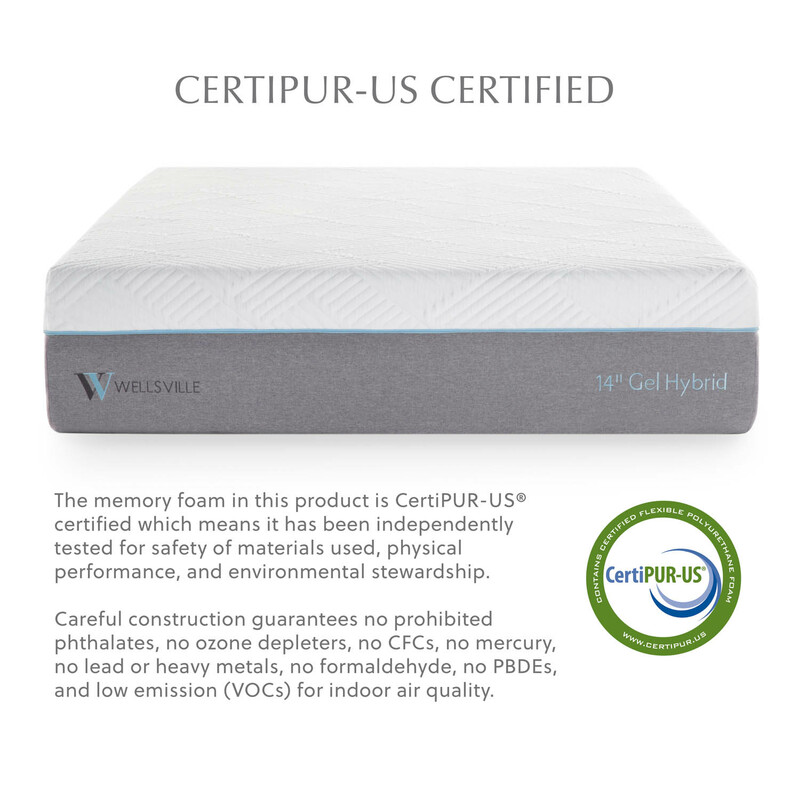 Call Us or Visit Store for PRICES on Wellsville Mattresses! 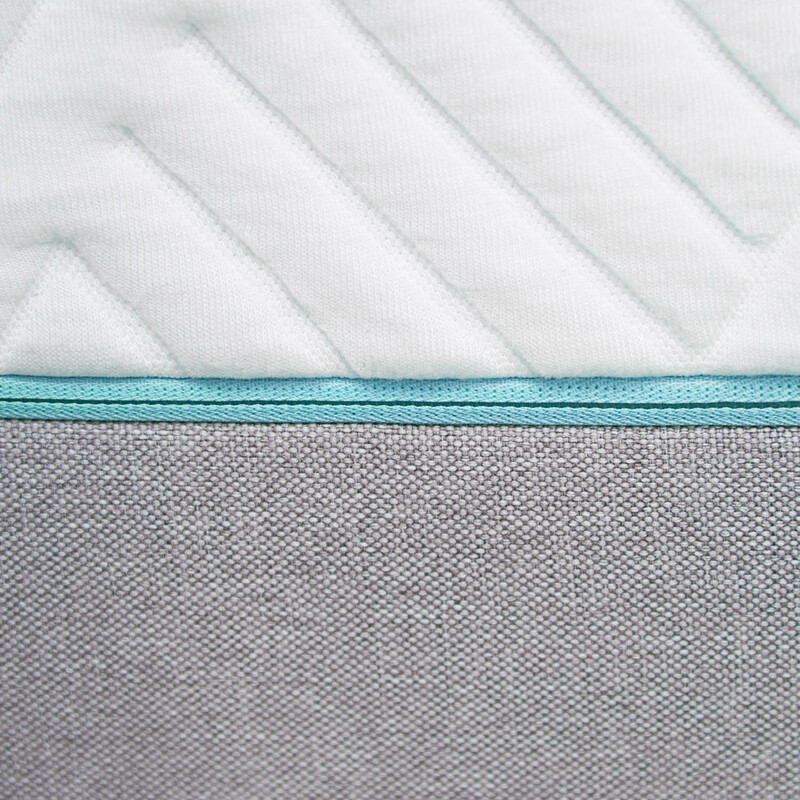 Foam encased pocketed coils independently respond to quickly conform to body weight and position. It helps to relieve pressure points and naturally align the body and for individualized comfort. The durable coils also prevent mattress sagging and ensure long-lasting comfort. 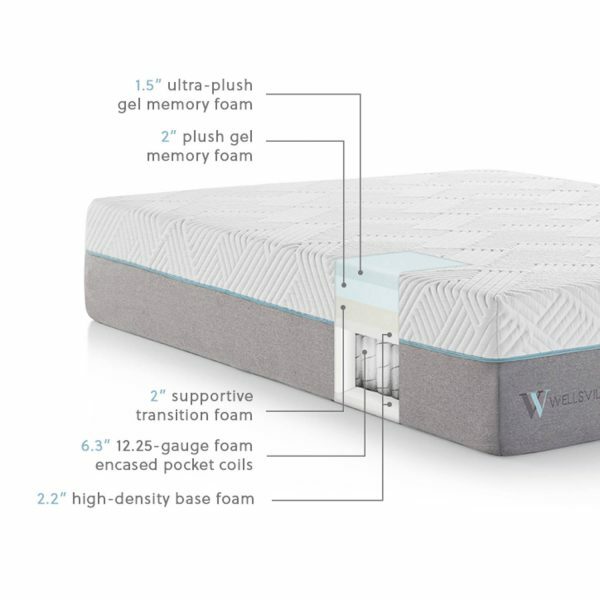 Wellsville mattresses are vacuum-packed and shipped in a box, so it’s easy to transport and set up. To decompress a Wellsville mattress, simply take the package into the right room, take it out of the box and remove the protective wrap. Then, watch as it expands. 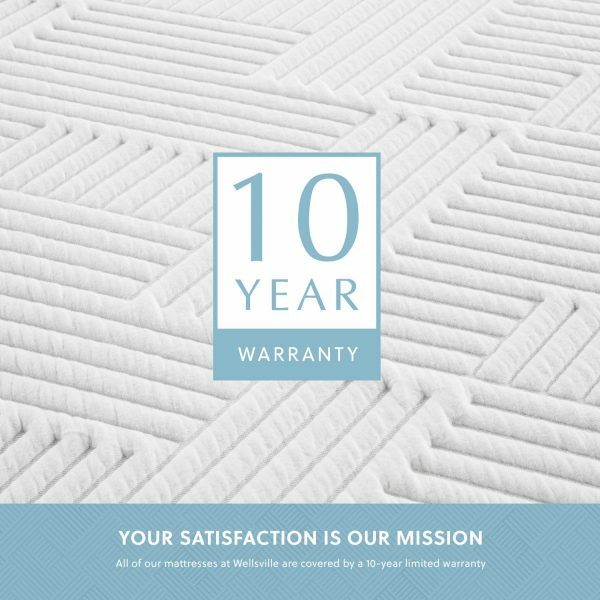 Wellsville mattresses are made to last. We confidently offer a 10-year warranty that protects customers from manufacturer defects. Prices Listed are Manufacturer Minimum Lowest Allowable Advertised Prices. There may be other promotions and discounts available. Please call us on any Mattress you are interested in! You will be Glad You Did! It is what it claims to be! 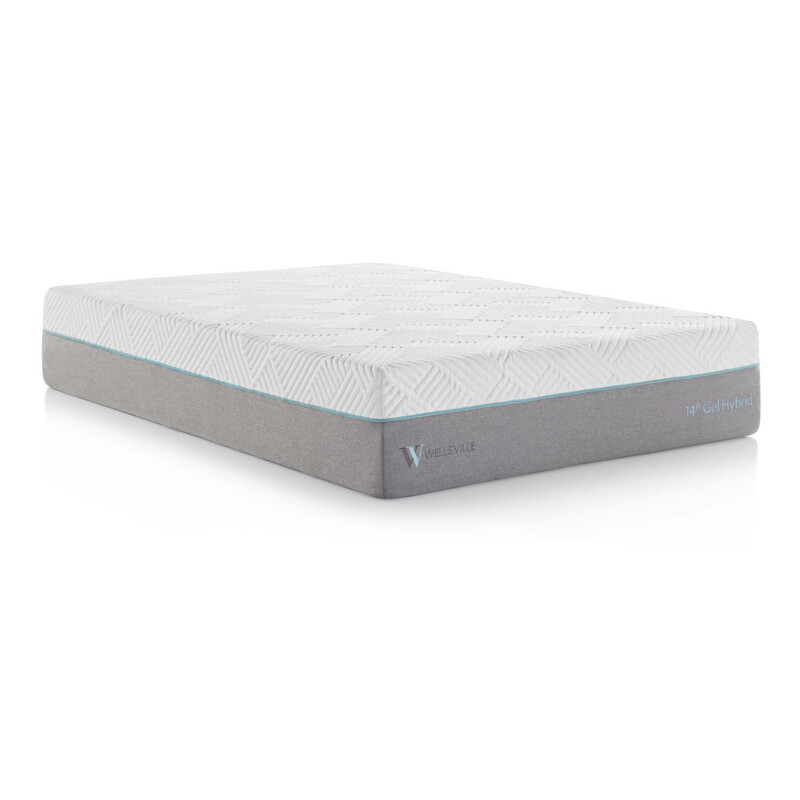 We bought the Wellsville 14″ split King mattresses around 6 weeks ago and we just love them! We moved to an adjustable frame so it necessitated new mattresses to fit it. 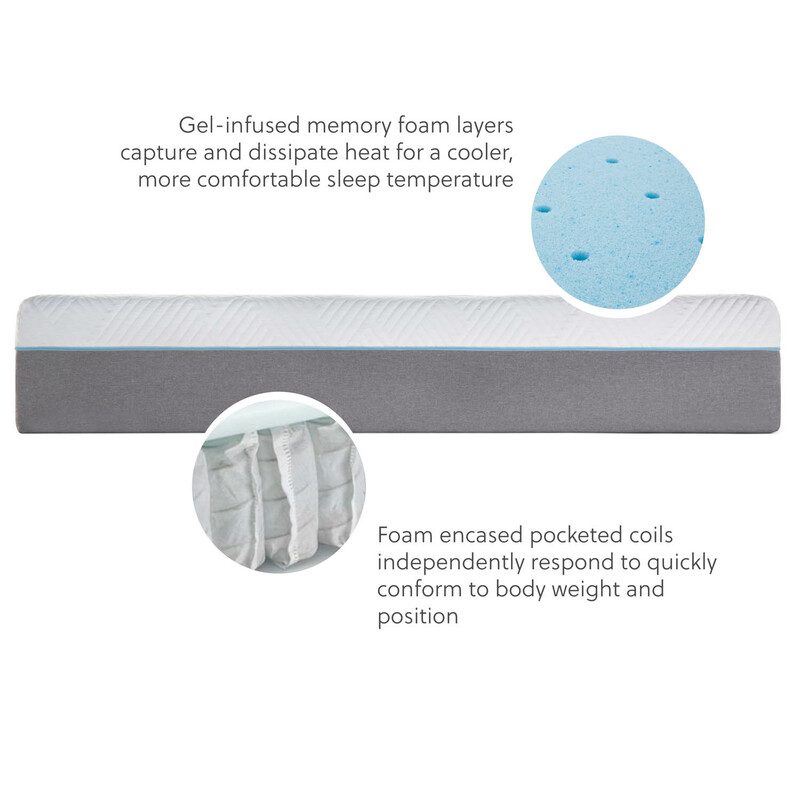 I was a little nervous to give up my firm memory foam bed for it had really helped with my neck pain,and when we got the mattresses they looked too soft. But I was wrong. 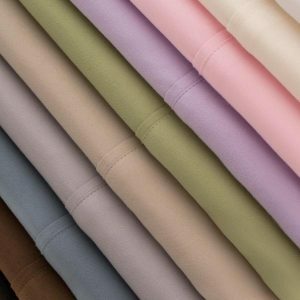 They are soft and do cradle you but they are the most comfortable mattresses. And the ventilated gel beads do work too. 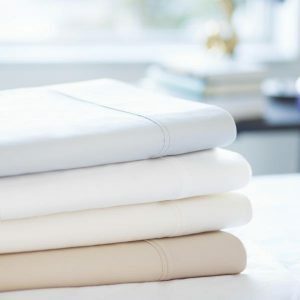 I am a woman in my late 50’s and didn’t want to sleep hot but with the mattress and the Italian made Egyptian cotton sheets too I have slept very comfortably. My husband loves this mattress and has slept so well on it. He was recovering from knee surgery and the mattress is soft enough yet firm enough to give his knee comfort and support. We know they are a little expensive but we decided our health and comfort is worth the cost.And it has been! My other concern was that you wouldn’t be able to feel the massage vibrations from our new adjustable bed frame, or that it would be not flexible. Both concerns vanished from the first use. It works really well with adjustable frames. It’s amazing how fast it fluffed up after we opened it. You are usually supposed to wait 48-72 hours for it to fully hydrate but we slept on it the first night after it arrived. 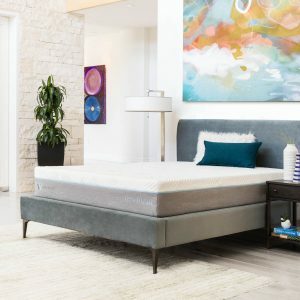 Also with memory foam products there’s usually a smell that needs to dissipate but this mattress only had a very faint smell when first opened and I didn’t smell it at all after that. Very, very pleased with this mattress. I would highly recommend it. Best bed I’ve ever owned. I’ve owned a number of different conventional style mattresses for the last 30 years of marriage and each one has been a little better than the last. 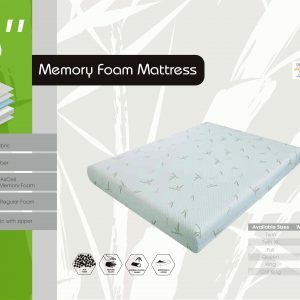 This time my son told me to try a memory foam so I thought I’d go out on a limb. I got this Wellsville 14″ Gel bed and now I’ll never go back to my old style spring type. My wife and I actually starting laughing when we layed down on it for the first time because it felt so soft and comfortable. In that past when we bought a new mattress it took a couple of nights to get used to the change, but with this one I just melted right into it. I’ve never suffered from back problems so I can’t speak from that angle, but for me this bed is perfect. I purchased this bed in march and I have nothing negative to say about this bed at all! 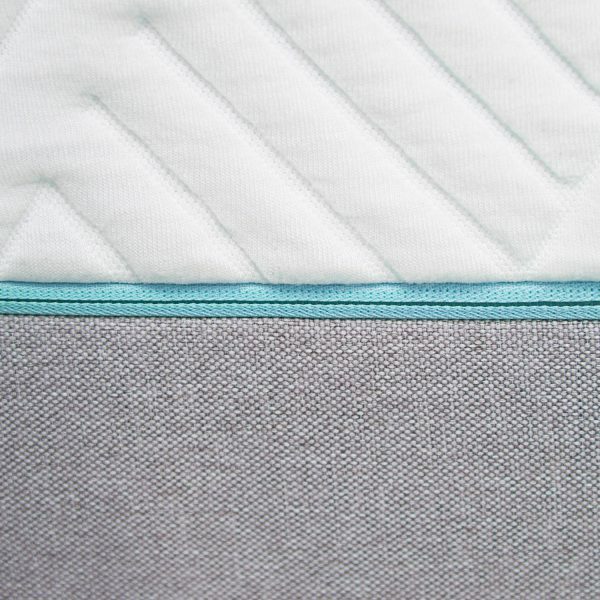 The comfort and the way contours to your body is perfect! I’m a side sleeper and I love it! You will just have to see for yourself! 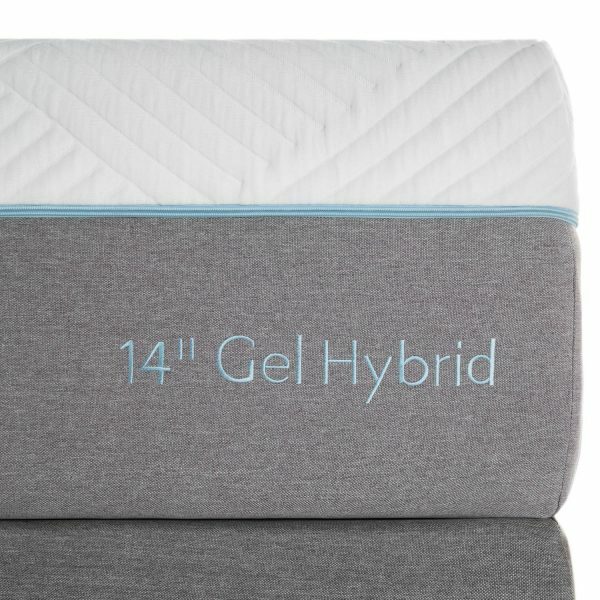 When we started shopping for mattresses I was worried that my husband and I were going to have different preferences but we decided to try this mattress and it has been amazing. We have both been able to sleep better with less tossing and turning. Love it! 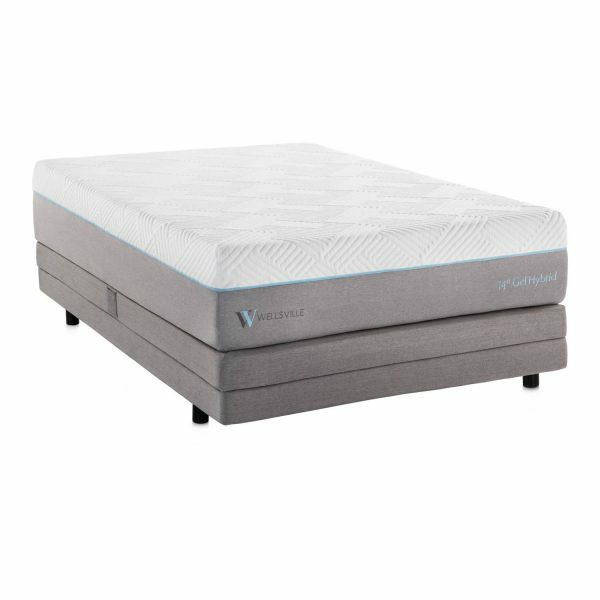 I went through a bunch of stores trying to find the right mattress. 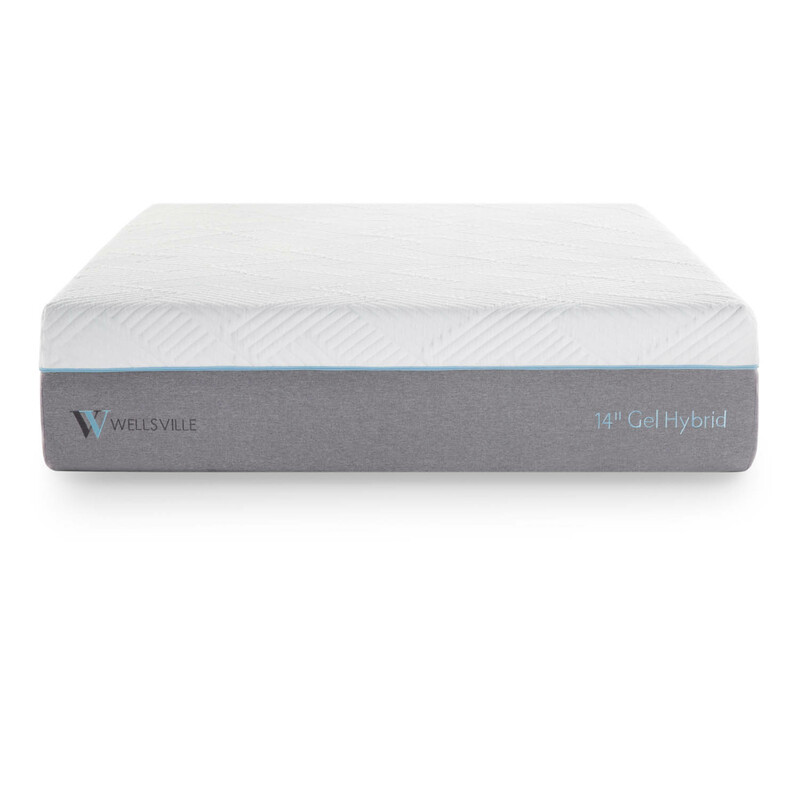 Finally I came across the Wellsville, and found the perfect one for my body that made lying down comfortable. I’ve had the mattress for over a year now, and haven’t had one problem with it. Very comfy, and has help up.